When Pokémon GO developer Niantic launches its Real World Platform for augmented reality gaming, it will run over 5G speeds courtesy of T-Mobile parent company Deutsche Telekom and the edge servers of its MobiledgeX subsidiary, the companies announced today. 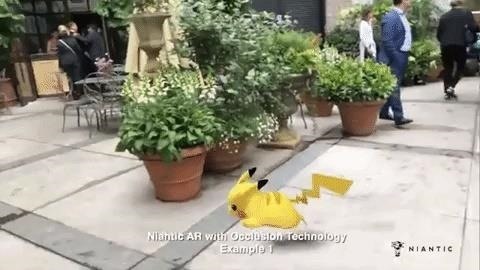 As we've previously reported, Niantic Real World Platform uses computer vision to enable multiplayer AR experiences in a shared environment with persistent 3D content. 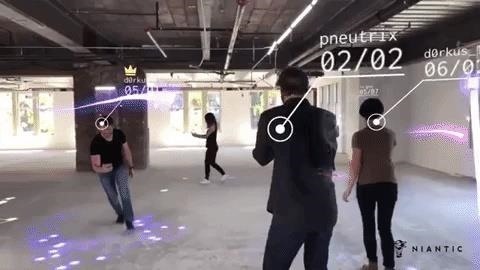 The platform also gives mobile AR games and other computer-vision based applications support for visual occlusion — content that can move in front of and behind real world objects. "We're hard at work on technology that bridges the physical and digital worlds to pave the way for new entertainment experiences, advanced robotics, and scaled adaptive computing," said Michael T. Jones, a senior executive at Niantic, in a statement. To achieve shared, multiplayer experiences and translate environments in real time Niantic's platform needs a low latency network, and 5G network speeds and edge servers (network devices that cache multimedia content from the web at the point closest to the end user) deliver just that. "We're thrilled to partner with Niantic to leverage the Niantic Real World Platform to help showcase the best of DT's 5G Network and MobiledgeX Edge infrastructure to help deliver scalable end-user experiences," said Alex Jin-Sung Choi, Senior Vice President Research and Technology Innovation at Deutsche Telekom, in a statement. As part of the alliance, Niantic will start integrating its platform into the MobiledgeX's APIs. In turn, Niantic will serve as a case study for the capabilities of MobiledgeX's edge servers. 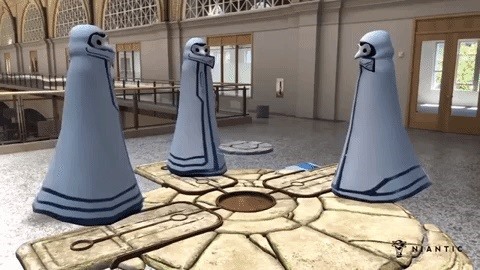 "We are very excited to work with Niantic Inc, the world leader in augmented reality gaming. As a wildly successful company that creates uniquely collaborative gaming services, they recognize and are ready to harness the benefits of edge solutions today. Their needs of spatial understanding, real-time responsiveness and multi-player collaboration are a proxy for many other companies' use cases and edge dependent experiences," said Jason Hoffman, President and CEO of MobiledgeX. Niantic is not the only AR company that stands to benefit from 5G speeds. For instance, on Wednesday AT&T announced the deployment of a 5G test bed on Magic Leap's Florida campus, giving developers access to faster data speeds. With the telecom industry, including network equipment manufacturers and service providers, pushing to deploy 5G and rake in the cash that comes with it, the popularity of emerging technologies like augmented reality that hog bandwidth is like manna from heaven.